June is National Fresh Fruits & Vegetables Month—which is truly a reason to celebrate! As you may have read, I am always looking for ways to incorporate more fruits and veggies into my diet. If you missed my post on 5 Ways to Sneak More Fruits & Veggies Into Your Day be sure to check it out! Here are some of my favorite kitchen tools (and more tips) that are perfect for eating more fruits and veggies. 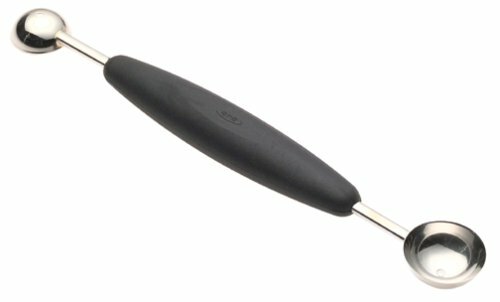 This kitchen tool is truly an obsession. I love to spiralize zucchinis and beets. I will eat them with fresh basil pesto, or with my favorite tomato sauce, or with olive oil, sea salt, and cracked pepper. You would be amazed with all of the produce that you can spiralize and how many amazing recipes you can make! 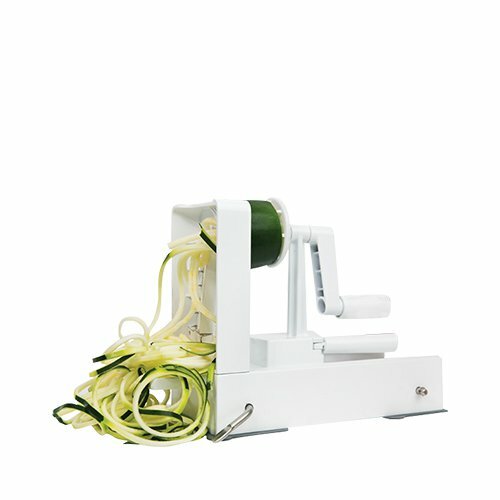 I love this list of spiralize recipes from Inspiralized.com. 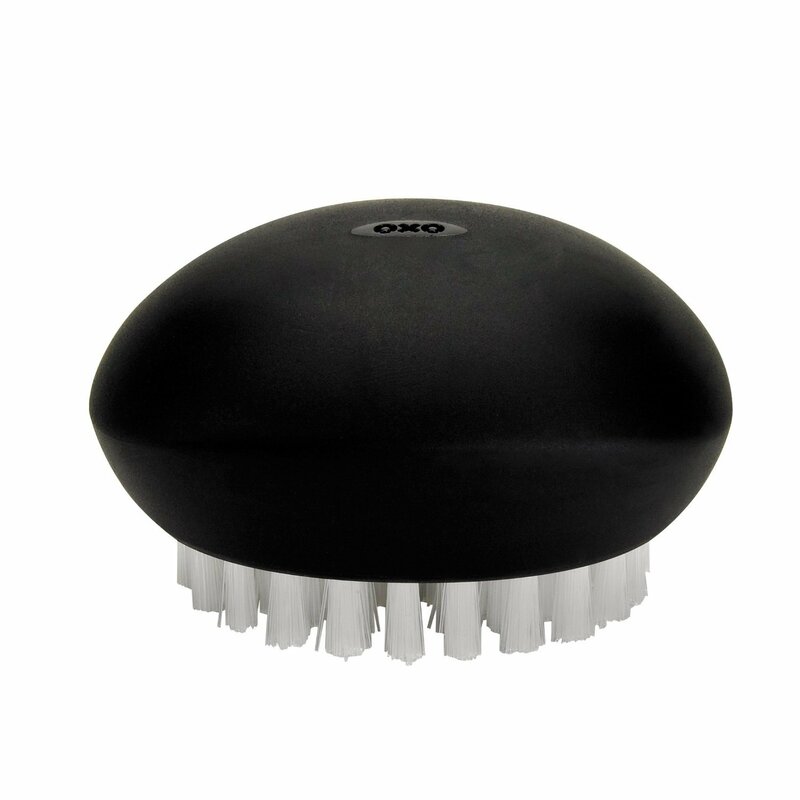 Plus, this it the ultimate kitchen tool to pack lots of veggies into your diet. I always try to have fresh cut vegetables on hand (typically prepping them in the beginning of the week) so that I can add them to salads or eat them by themselves or with hummus. Cucumbers are one of my favorite, crunchy veggies to have on hand. 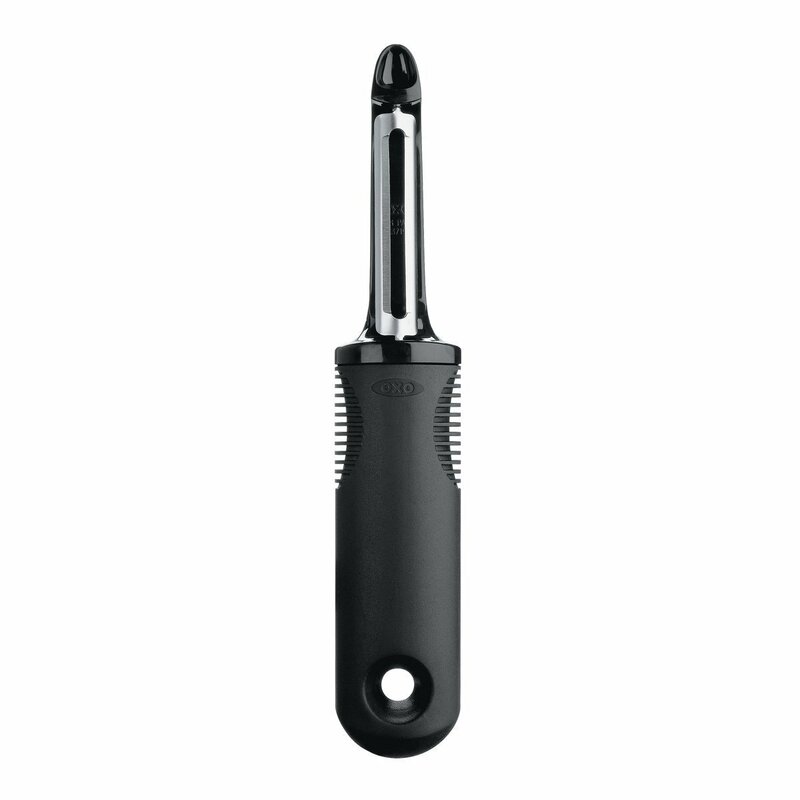 This tool is a kitchen necessity and having a good one is key to making peeling easy and efficient. I love adding roasted root vegetables to my salads. I just scrub them, cut them, and toss them with olive oil, sea salt, cracked pepper, fresh rosemary and roast them on cookie sheets at 450* for about 20-30 minutes (stirring occasionally). Scrubbing vegetables clean is key—especially root vegetables like beets and sweet potatoes. Important tip: I keep my veggie brush in the drawer with my other utensils (so it doesn’t get confused for a dish sponge). Melon salads are one of my all-time favorite summer dishes. I am obsessed with this Arugula Watermelon Feta Salad with fresh mint. It is the epitome of summer! The melon baller is not a kitchen necessity, but is so much fun and makes for an amazing presentation. If you need more reasons why a melon baller is totally an amazing kitchen tool, check out Martha Stewart’s 9 Genius Ways to Use a Melon Baller. One of my favorite things to incorporate into recipes is fresh grated ginger. It has so many healing properties and adds amazing flavor. I store ginger root in my freezer so that I can just take it out as needed and easily zest it into dishes (from curry, to salad dressings, to tea). Having a good Microplane is the best way to spice up your meals. Having an easy squeezer makes juicing lemons or limes a breeze. As you may know, we are guacamole fanatics (I am pretty sure Alex makes it for every gathering that we have with friends). The key ingredient is fresh squeezed lime juice. I also love adding fresh squeezed lemon juice to olive oil for a simple salad dressing (perfect with kale), or squeezing fresh lime on tacos. Plus, nothing says summer like homemade lemonade…or margaritas! This is my favorite fresh margarita recipe—which pairs perfectly with some homemade guacamole.